The company carries out the implementation, renovation, reconstruction and rehabilitation of historic facades. On the Czech market for 5 years, we realize the whole country. 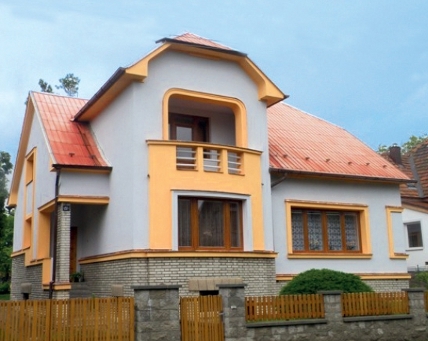 The scope of our orders are from family houses to residential buildings. We are accredited and authorized dealer of plaster mixture ThermoUm Xtra, ThermoIN, ThermoSan, ThermoFace developed by company SATSYS Technology as with these materials, we have experience since the time of its development. Long time promoting the use of these materials in practice, we would like to show and make a common understanding of people, that the application of the plaster continuously protects and increases the value property. 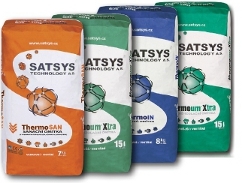 thermal insulation plaster ThermoUm Xtra, ThermoIN, ThermoSan, ThermoFace produced by company SATSYS TECHNOLOGY a.s. are very suitable for brick facade plastering, concrete, reinforced concrete, aerated concrete, glass and metal substrates, suitable for plastering pumice and gypsum substrates. Due to its bulk density eliminates the volume changes of the underlying materials. It does not burden the building structure, thickness 3 cm weighs 10kg/m2. Because of its ability to transmit water vapor, but do not absorb water molecules will ensure consistently warm and dry home of a major reduction in energy performance of the building. Environmentally degradable.